What Societies Built Their Homes Partly Underground? A pit house (also spelled pithouse and alternatively called pit dwelling or pit structure) is a class of residential house type used by non-industrial cultures all over our planet. In general, archaeologists and anthropologists define pit structures as any non-contiguous building with floors lower than the ground surface (called semi-subterranean). Despite that, researchers have found that pit houses were and are used under specific, consistent circumstances. How Do You Build a Pit House? Construction of a pit house begins by excavating a pit into the earth, from a few centimeters to 1.5 meters (a few inches to five feet) deep. Pit houses vary in plan, from round to oval to square to rectangular. The excavated pit floors vary from flat to bowl-shaped; they can include prepared floors or not. Above the pit is a superstructure that might consist of low earthen walls built from the excavated soil; stone foundations with brush walls; or posts with wattle and daub chinking. The roof of a pit house is generally flat and made of brush, thatch, or planks, and entry to the deepest houses was gained by way of a ladder through a hole in the roof. A central hearth provided light and warmth; in some pit houses, a ground surface air hole would have brought in ventilation and an additional hole in the roof would have allowed smoke to escape. 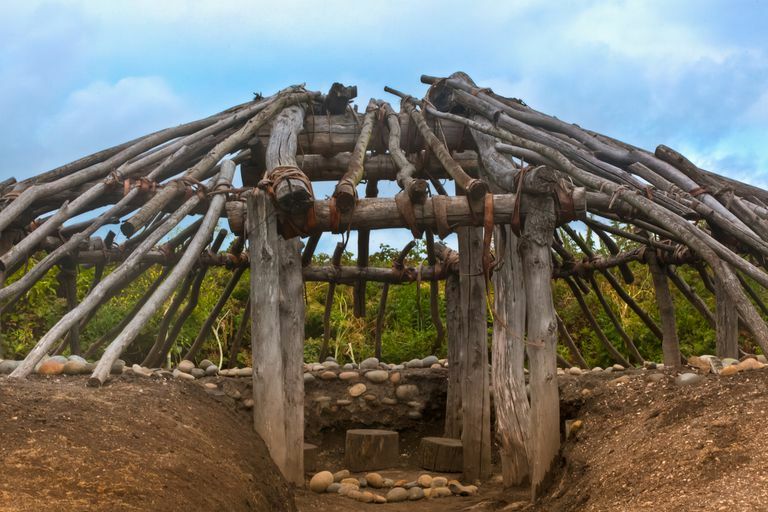 Pit houses were warm in winter and cool in summer; experimental archaeology has proven that they are quite comfortable year round because the earth acts as an insulating blanket. However, they only last for a few seasons and after at most ten years, a pit house would have to be abandoned: many abandoned pithouses were used as cemeteries. In terms of climate, Gilman reported that all except six of the societies who use(d) pit structures are/were located above 32 degrees latitude. Five were located in high mountainous regions in East Africa, Paraguay, and eastern Brazil; the other was an anomaly, on an island in Formosa. The vast majority of pit houses in the data were used only as winter dwellings: only one (Koryak on the Siberian coast) used both winter and summer pit houses. There is no doubt about it: semi-subterranean structures are particularly useful as cold season habitations because of their thermal efficiency. Heat loss by transmission is 20% less in shelters built into the earth compared to any above-ground homes. Thermal efficiency is also evident in summer dwellings, but most groups didn't use them in the summer. That reflects Gilman's second finding of a bi-seasonal settlement pattern: people who have winter pit houses are mobile during the summers. The Koryak site in coastal Siberia is an exception: they were seasonally mobile, however, they moved between their winter pit structures on the coast and their summer pit houses upriver. The Koryak used stored foods during both seasons. Interestingly, Gilman found that pit house use was not dictated by the type of subsistence method (how we feed ourselves) used by the groups. Subsistence strategies varied among ethnographically documented pit house users: about 75% of the societies were strictly hunter-gatherers or hunter-gather-fishers; the remainder varied in levels of agriculture from part-time horticulturalists to irrigation-based agriculture. Instead, the use of pit houses seems to be dictated by the community's reliance on stored foods during the season of pit structure use, specifically in winters, when a cold season permits no plant production. The summers were spent in other types of dwellings that could be moved to capitalize on the locations of the best resources. Summer dwellings were generally movable above-ground tipis or yurts that can be disassembled so that their occupants could easily move camp. Gilman's research found that most winter pit houses are found in villages, clusters of single dwellings around a central plaza. Most pit house villages included fewer than 100 people, and political organization was typically limited, with only a third having formal chiefs. A total of 83 percent of the ethnographic groups lacked social stratification or had distinctions based on non-hereditary wealth. As Gilman found, pit houses have been found ethnographically around the world, and archaeologically they are also quite common. In addition to these examples below, see the sources for recent archaeological studies of pit house societies in various places. This glossary entry is a part of our guide to Ancient Houses and the Dictionary of Archaeology. Crema ER, and Nishino M. 2012. Spatio-temporal distributions of Middle to Late Jomon pithouses in Oyumino, Chiba (Japan). Journal of Open Archaeology Data 1(2). Dikov NN, and Clark GH. 1965. The Stone Age of Kamchatka and the Chukchi Peninsula in the Light of New Archaeological Data. Arctic Anthropology 3(1):10-25. Ember CR. 2014. Dwellings. In: Ember CR, editor. Explaining Human Culture: Human Relations Area Files. Gilman PA. 1987. Architecture as Artifact: Pit Structures and Pueblos in the American Southwest. American Antiquity 52(3):538-564. Grøn O. 2003. Mesolithic dwelling places in south Scandinavia: their definition and social interpretation. Antiquity 77(298):685-708. Searcy M, Schriever B, and Taliaferro M. 2016. Early Mimbres households: Exploring the Late Pithouse period (550–1000 AD) at the Florida Mountain Site. Journal of Anthropological Archaeology 41:299-312. Tohge M, Karube F, Kobayashi M, Tanaka A, and Katsumi I. 1998. The use of ground penetrating radar to map an ancient village buried by volcanic eruptions. Journal of Applied Geophysics 40(1–3):49-58. If You Were Waging a 100 Years War in the Arctic, Where Would You Live? Did Japan's Hunter Gatherers Invent Pottery Before Anyone Else? Who Decided it was a Good Idea to Stop Wandering and Move into Town? 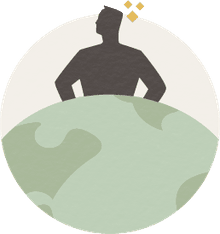 What Is a Hominin and How Is It Different from a Hominid--or a Human? What Are Pit Zips and Why Are They Still Around?